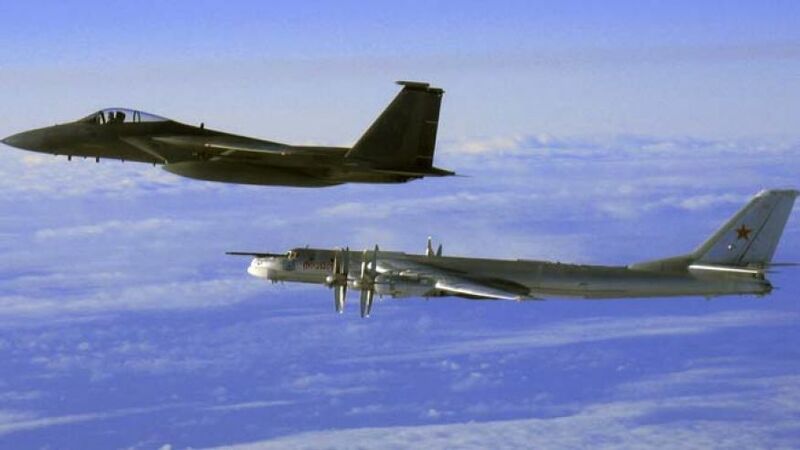 Remember those multiple ocurrances of Russian “bombers” that came within 50 miles of out Western Coast, that we took no apparent action against? Quite possibly the end of the world as we know it? Well, it appears they are connected, and our Government totally lied to us again about what was going on. They were in on the mysterious Soviet “invasion or our airspace” incident. And besides the fault lines running up and down the West coast, here is the primary concern, the Yellowstone Supervolcano! Yellowstone National Park is actually an active supervolcano? Yes, it is, and it is HUGE! As you walk around the park you may think: “I don’t see any volcanos? !” That’s because much of the entire park is a volcano – and the bubbling geysers and hot springs are an indication of the churning activity below the surface. The last time the Yellowstone supervolcano erupted was 640,000+ years ago. The Yellowstone eruption area collapsed upon itself, creating a sunken giant crater or caldera 1,500 square miles in area. The magmatic heat powering that eruption (and two others, dating back 2.1 million years) still powers the park’s famous geysers, hot springs, fumaroles, and mud pots. Here’s the kicker, recent discoveries have shown us that Yellowstone’s magma reserves are many magnitudes greater than previously thought, say scientists from the University of Utah. Beneath the spectacular beauty of Yellowstone National Park lies a ticking time bomb, a supervolcano that’s overdue for its next eruption. When that day inevitably comes, it will trigger the end of civilization as we know it. See how recent earthquake swarms and other signals of activity have put scientists on high alert for a large-scale super volcanic eruption. Then, witness the worldwide effects of this cataclysmic eruption, which experts predict will produce energy equivalent to the detonation of 1,000 nuclear bombs. What’s the catch to this story? Here’s where it gets not good! It appears that the Russians had ulterior motives in using their equipment to help study this and share the information. The Russian president of the Academy of Geopolitical Problems outlined two geophysically weak US regions to attack in order to combat NATO’s aggression toward Russia. Sivkov, listed as a “Docter of Military Sciences,” described scenarios that involved dropping a nuclear weapon near Yellowstone’s supervolcano or the San Andreas Fault. In the past 2.1 million years, Yellowstone’s volcano has violently erupted three times and “blanketed parts of the North American continent with ash and debris,” according to the US Geological Survey. Some scientists argue that Yellowstone’s active supervolcano is long overdue for a colossal eruption. “Geologists believe that the Yellowstone supervolcano could explode at any moment. There are signs of growing activity there. Therefore it suffices to push the relatively small, for example the impact of the munition megaton class to initiate an eruption. The consequences will be catastrophic for the United States, a country just disappears,” he said, according to atranslation by Sydney Morning Herald. According to a Discovery Channel Documentary, an eruption of this magnitude would bury North America, drape the atmosphere in a sulfur haze, dim sunlight, and plunge the world into a volcanic winter. Another option would be to drop a nuclear bomb near California’s San Andreas Fault. “A detonation of a nuclear weapon there can trigger catastrophic events like a coast-scale tsunami which can completely destroy the infrastructure of the United States,” he said, according to the Sydney Morning Herald’s translation. Putin hosted a lavish banquet at New Century, Moscow’s richest equestrian club, for members of the Valdai Club and distinguished academics and journalists from around the world. He went on to express his disapproval of US plans to build a missile-defense system that he believed would pose a deliberate threat to Russia’s national security. Professor Ted Postol, Professor Emeritus of Science, Technology, and National Security Policy at MIT. [From the MIT Science, Technology and Global Security Working Group page: Prior to coming to MIT in 1989, he worked as an analyst at the Congressional Office of Technology Assessment and as a science and policy advisor to the Chief of Naval Operations. He has received the American Physical Society’s Leo Szilard Award in 1990 for “incisive technical analysis of national security issues that have been vital for informing the public policy debate” and the Hilliard Roderick Prize in Science, Arms Control, and International Security from the American Association for the Advancement of Science for “outstanding contributions that advance our understanding of issues related to arms control and international security.” In 2001 he received the Norbert Wiener Prize from Computer Professionals for Social Responsibility for uncovering numerous and important false claims about missile defenses and in 2005 was awarded the Whistleblower Award by the Federation of German Scientists and the German Section of the International Association of Lawyers Against Nuclear Arms. His current research includes work on ballistic missile defense technologies, fraud in the U.S. missile defense program, and reducing nuclear dangers in South Asia as well as those due to the deteriorating Russian nuclear infrastructure. Slide show included in text below. The question I am raising today is whether or not the danger of an accidental nuclear war between The United States and Russia is higher today than it was at most times during the Cold War. The answer to this question is unknowable using quantitative means, but I believe the information we have points strongly to the conclusion that the danger of nuclear war is now considerably higher than it was during most of the time we now call the Cold War. The reasons for this are both immediate and historic. If we are to be able to reduce the chances of an event that could well result in the complete destruction of the world we know, we need to confront and understand why we are now in our current predicament so we can begin to find ways to back away from this brink. Although I will focus here on the technical aspects of this dangerous situation, the circumstances that have led to it have both political and technical dimensions. On the political side, the relationship between Russia and the United States is spiraling downward creating tensions that are higher than at most times during the Cold War. A large part of this downward spiral is due to the unwise Russian reaction to what has certainly been a much more unwise 25 year long period of hostile US actions towards Russia. Basically, the United States has treated Russia like a defeated and reviled foe during this 25 year period—and I have many personal experiences I could share with the audience on this. Although the analogy is far from perfect, it is as if the mistakes that are widely ascribed to the Treaty of Versailles after the end of the First World War have been repeated as if there is no memory of the consequences. In addition, US and Western diplomacy has treated legitimate Russian concerns about security in the area they call the “near Russia” region (or “near Russia” zone) as if none of Russian concerns have any merit. If you disagree with this assessment—and I know a lot of people who do, partly because of the circles I move in—consider how the United States would react if Russia mounted a major effort to influence the domestic politics of Panama, Venezuela, Cuba, Nicaragua, and Mexico by forming military alliances that were accompanied by commitments to sell arms and to provide military support to the governments of these countries. There are experts who have a far better knowledge of the political ins and outs of Russia’s relationship with the West than I do, and since I am a technical expert I want to focus on the technical problems that clearly and unambiguously greatly increase the chances of an accidental war that could lead to the US and Russian central strategic nuclear forces becoming engaged. So this is where I will focus my basic remarks. First of all, I need to make it clear to everyone in this audience that the Russians have an extremely fragile early warning system. Unlike the United States, they have been unable to build a working space-based early warning system. They simply do not have one. The lack of a capable Russian early warning system is one of the greatest dangers to the United States. You don’t have to be worried about Russia—you ought to worry about the United States. Yet the US government—and I have had many, fruitless attempts to try to get this matter addressed—has done nothing at all to think about the ways to address this problem. In fact the US government has mostly spent its effort, at least during the Clinton Administration—now they don’t even think about it—making believe that they were doing something about it, when in fact they weren’t. And I have lots of proof of that. The ability to see the launch of ballistic missiles from space makes it possible to have the longest warning time of ballistic missile attack that is possible. It is a general misconception that the extra warning time, provided by these space-based early warning systems, is the most important contribution to US security that these systems provide. This is actually not the case. The most important contribution of space-based early warning systems is general information about the launch of ballistic missiles on the global scale. The only country in the world that has some capability to destroy parts of US nuclear strike systems is Russia. Any attack from Russia aimed at destroying, or trying to destroy, US counter strike capability would have to be executed as a massive coordinated strike. Our current space-based infrared systems would make it possible,within less than a minute, to know whether or not such a strike is underway. So basically it’s situational awareness. Since the Russians have no space-based early warning system, they can only observe events with radars. And the Russians have worked very hard on their radar early warning system. Radars are limited to line-of-sight. The character of that false alert made it appear that the United States might have been making a nuclear precursor attack against Russia. At the time of this potential precursor attack, there was no tension between Russia and the United States. However, because the Russians could not see over the horizon, they had to guess that what they were observing was not what it appeared to be. If such an event occurred today, especially if there were an intensified crisis over the Crimea, Ukraine, Georgia, or whatever, the assessment of Russian military and political leaders that no attack was underway would be much more difficult to settle on. One can be sure that the Russian military is closely following this US technical effort. In fact I have had direct communications with a former chief of the general staff of the Russian strategic rocket forces, directly confirming that there is an active area of research and monitoring by Russian military analysts. This, of course, is absolutely of no surprise. The products of these analyses are certainly sent up to the highest levels of Russian government. In particular, Russia now has a leader who has a very substantial background in security matters. Whether or not one dislikes or admires Mr. Putin, it is undeniable that he has an extensive interest and concerns in Russia’s security posture. As such, it would be the height of folly to think that he is not fully apprised of thevulnerabilities in Russia’s early warning system. This should not make us feel comfortable. So we now have a situation where the political relationship has spiraled downward, the US relentless preoccupation with building nuclear war fighting machines is well analyzed and understood by the Russian political leadership, and the Russian early warning system is wholly inadequate for providing the kind of reliable and unambiguous data that could assure Russian political leadership that they are not under attack in certain ambiguous situations. Hence, I conclude that the chances of an accident that could lead to the launch of Russian nuclear forces is now at least as likely as it was during the Cold War, and in my view, it is probably higher than it was during most, although not all, of the time we call the Cold War. I would like to finish this discussion by changing direction a bit, and show you how US and Russian nuclear war planners see the world relative to the actual realities. This is of vital importance that I think all of you should understand. The US is striving for greater accuracy in delivering nuclear warheads. The question a reasonable person might ask is, Why? These weapons are so destructive. The first problem is that nuclear war fighters treat nuclear weapons as if they are instruments of conventional warfare that can be used in scaled up versions of conventional wars. This conventionalization of nuclear war planning is a product of the Cold War and is still being pursued by the technical efforts within the United States, and with less success, but with energy, within Russia as well. It is derived from a profoundly false belief that a nuclear war would have military objectives no different from that of a conventional war. In conventional warfare each adversary tries to take advantage of confusion and chaos to isolate and destroy an enemy’s forces piece by piece. By concentrating superior forces against weaker enemy forces, one can destroy the enemy forces so quickly that they cannot do nearly as much damage in return. So you really want to isolate the force and just chomp them up. In order to achieve this goal when fighting an adversary who is roughly the same size and capability, military planners try to find ways to concentrate their forces so that they can locally have numerical and firepower superiority. In order to do this, it is critical to be able to disrupt or destroy an enemy’s command structure, communications, and mobility. This is generally achieved by attacking command and control nodes, bridges, railheads, and the like. If this goal is achieved, it is then possible for a skillfully commanded military force to take advantage of the chaos and disorder so as to crush an equally capable enemy force by destroying it piece by piece. Could I please have the first slide, please? Let me show you what a Russian nuclear war-fighting plan might look like, which is simply a mirror of US nuclear war plans. This is a notional plan. This is by no means real. Although it could be certainly real and worse. This slide shows how a nuclear war fighter might think about a target area like New York City. The war fighter would first identify targets that are important for paralyzing the enemy’s ability to fight. These targets would include bridges, communication centers, railheads, political and military leadership and command centers. What the planner would do is to identify these targets they want to destroy. Bear in mind they’re thinking of these weapons like they are conventional instruments of conventional war. Particular targets can be very hard to blast if you’re talking about destroying them physically in terms of just breaking them up into pieces. You may not need to do that but that’s what the planners think in terms of. So for example if you had some port facilities here you might put a nuclear weapon on this port facility because docks, dock facilities require tremendous amounts of over-pressure—blast pressure—to destroy them. Then you have all these bridges—the bridges of course are points where mobility would allow your enemy to move forces in some kind of fictitious conventional war. You might have a railhead, for example, at Grand Central Station. You might have a political leadership target at Gracie Manor. And so on. So you could have a whole bunch of targets that you could well find you need to service (in the words of the way the nuclear planners think) relative to the situation we actually face. Within the mythology of nuclear war fighting, the elimination of these targets would reduce the enemy’s ability to move equipment, communicate, coordinate, so you can basically eliminate their ability to fight back. The net result is that many additional warheads need to be targeted for redundancy since some of the number of warheads can be expected to fail during flight. All in all it is easy to see how a large number of warheads could be needed. Basically you need to destroy these targets, they’re very hard. And also you need to assure that they’re destroyed which means you have to have redundancy. This is why targets need to be specifically identified and often attacked with individual nuclear weapons. In the case of targets that are very hard, individual weapons need to be targeted on each installation of concern. To give you a concrete example that is anchored in history, Hiroshima was destroyed by a single nuclear weapon that had a yield of roughly 12.5 kilotons. In 1960, George Kistiakowsky (who was then a science advisor to President Eisenhower) went out to Strategic Air Command and looked at what they were doing. One of the things he did was he asked for information about how the US was targeting a Russian city that was about the size as Hiroshima, just to get an example. At that time the nuclear war plans called for a single 4.5 megaton bomb followed by three 1.1 megaton bombs for the attack on this Hiroshima-size city. To put this in perspective, they committed 7,500 kilotons to an attack on a city that had been destroyed only 15 years earlier by a single 12.5 kiloton weapon (600 times more ordnance). That’s where the idea of overkill begins to make sense. Now part of the rationale for all the extra ordnance, was to gain assuredness that the target would be hit by at least several of these nuclear weapons. Another part of the rationale was to assure that each of the individual targets of interest within the city were adequately damaged. Having a high damage level is an extremely important part of nuclear war planning psychology. This leads to these very large numbers. The next slide is aimed at showing the actual physical scale of events. In order to get a sense of the reality of the situation, I have put together a diagram—you’ll see this (probably Steven will show the same one)—I chose an 800 kilton warhead because Steven Starr, wisely, chose a warhead that is standard in the Russian arsenal. [See: “What would happen if an 800-kiloton nuclear warhead detonated above midtown Manhattan?” by Steven Starr, Lynn Eden, Theodore A. Postol, Bulletin of the Atomic Scientist, February 25, 2015] And basically the scale is about a mile. Steven will be giving a talk on nuclear weapons effects later, so all I want to illustrate here is scale. Notice here—these lines show you the accuracy—the upper line shows you the accuracy that’s currently achievable with US Submarine Launched Ballistic Missiles (SLBMs)—it’s a circle of diameter about 600 feet. They are working very hard to get down to a circle of about 400 feet with the nuclear modernization program. The next slide shows the fireball from a nuclear explosion. The fireball from an 800 kiloton warhead is simply a bubble of superheated air created by the energy initially deposited into the surrounding air by a nuclear explosion. In this case the fireball is shown at about one second during its evolution. It is roughly 1 mile in diameter and it is radiating light and heat at a rate roughly 3 times that of the equivalent surface area of the sun. To give you a sense of the actual physical effects, this shows you the fireball from a nuclear explosion of 800 kilotons over this area. Down here I’ve just shown a white, semi-transparent cloud to emphasize that the light and heat coming out of this fireball is tremendously large. It’s about 2.5 to 3 times the light and heat coming out of the equivalent surface of the Sun. Of course the Sun heats the Earth from 90 million miles pretty effectively and of course this detonation is very close. What happens is, the amount of light and heat from the fireball is so intense that stone surfaces literally will shatter from the heating rate. It will thermally disintegrate—not necessarily burn, but thermally disintegrate. Metal and roads will melt or evaporate and essentially set anything combustible on fire within a few miles of the detonation point. Of course you would not be able to see through this haze in this depiction. It is just there to highlight the surfaces on Earth underneath the blast. It will be intense enough that at five or six or more miles from the detonation point, it will set so many fires that a firestorm in all areas will follow. Here is a depiction of what happens 30 or 40 seconds after the fireball shown previously. The fireball hasn’t begun to rise yet—it will buoyantly rise to a tremendous height. What happens is the fireball initially acts like a fast moving piston—it is simply super-heated air from the deposition of energy from the exploding nuclear weapon. It acts like a fast moving piston on the surrounding air, causing a shockwave. [In this next slide] The shockwave reaches the ground and then is reflected from the ground. So you have a reflected and primary shock. You have a pressure wave of enormous intensity and physical length, physical width, and you have very high winds that knock down structures and lift large amounts of target debris into the air. You can see this debris carried into the air in the form of the pedestal and the debris cloud. [next slide] Eventually, a counter-intuitive process happens. Eventually the fireball will rise buoyantly to an altitude of maybe five miles before it stabilizes. During the process of rising it creates gigantic after winds on the ground of roughly 200 to 300 miles per hour, internal, just from the sucking action of this rising fireball that move inward rather than outward. So these are the effects associated with a single nuclear weapon – which raises the question why do you need all this accuracy? Let me bring you back to the first slide. It shows the objectives of the US nuclear force modernization program. The force modernization program is almost solely aimed at making it more feasible for the war fighters to execute their imagined attack plan against New York City. If this has the appearance of being completely insane and disconnected from any plausible reality, I have achieved my goal here today. The fact of the matter is that it is completely impossible to fight and win a nuclear war because the effects of nuclear weapons are so large and so indiscriminate that the only possible outcome of any strategy would be indistinguishable from attacks aimed at killing as many people as possible. It doesn’t matter what your strategy is, if you use these things that’s the outcome. Yet US nuclear war planning treats this totally fraudulent theory of war fighting as if it is the goal of US forces. So this brings us back to the question of deterrence. And I’ll end here. If the only realistic hope of deterring potential adversaries is by threatening them with the physical and socially mortal consequences of reprisal, then although this option may be extremely uncomfortable for many of us, it is all that we have. That’s what it boils down to. Striving to be able to do more only creates the appearance that you think you can fight and win a war against a potential adversary – in this case we’re talking about Russia. The net result is that the Russians have no choice but to wonder what the United States might do in a crisis. The Russians have a substantial fraction of vulnerable nuclear forces, and they do not have the early warning capability to assure themselves that these forces are not being attacked. This is not a situation that should make anybody in this room comfortable. It increases the chances that a horror beyond existential experience could result from simple human error. The idea that by continuing to raise the level of threat against Russia via the kinds of improvements that are now being implemented in the US nuclear force modernization program might well be counted as possibly the most dangerous insanity in human history. Sources: Theodore Postol: Striving for Armageddon, et al.